So on top of all my classroom work, I've also been taking on a lot of extras as well (you can read about this in my previous post). 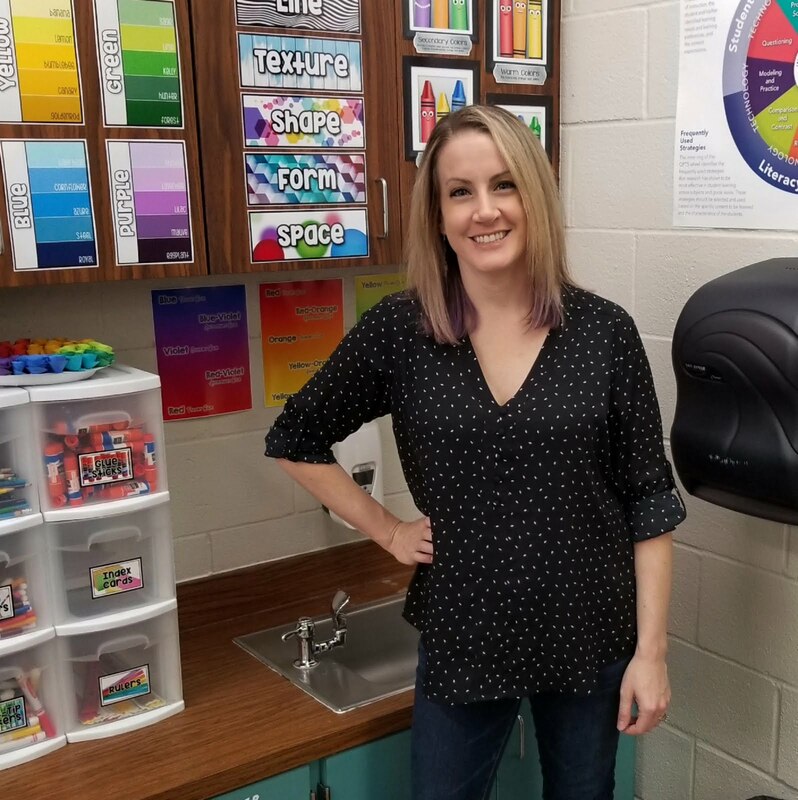 And you can now also add school yearbook sponsor to that growing list, as well as arts-integration push-in specialist during the last few sessions of our school's professional development classes. You seriously have no idea how ecstatic I was when I saw. 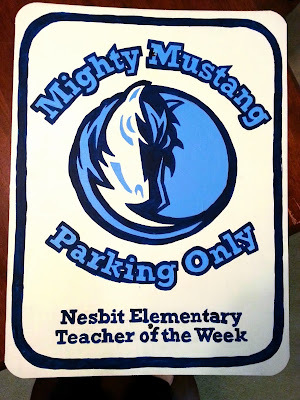 Another thing that I've been doing is volunteering to create signs for various school events and such. 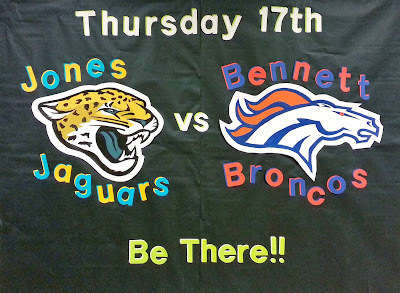 Poster created for our school's yearly teacher football game fundraiser (size of two sheets of butcher paper). 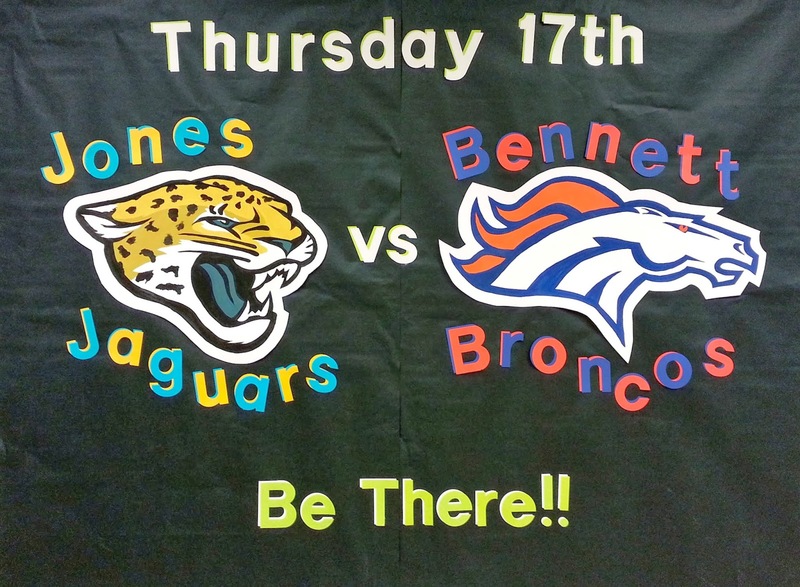 Someone took this poster down the other day (after the game) and I'm assuming they threw it out. 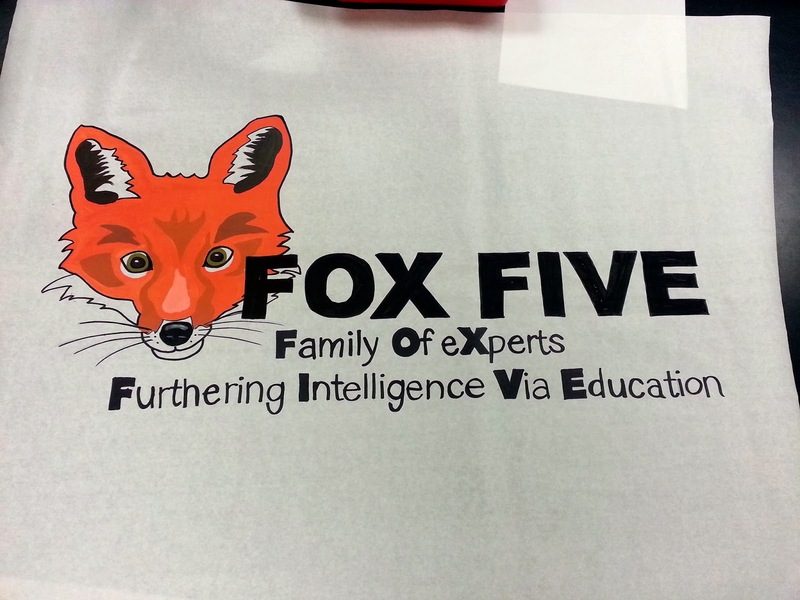 Which BREAKS my heart because I spent HOURS hand painting both logos (they are posterboard size). 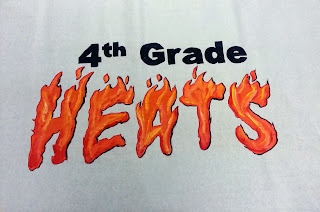 Poster created for my assistant principle for the 5th grade teachers (they picked the name). Poster created for my assistant principle for the 4th grade teachers (they picked the name). 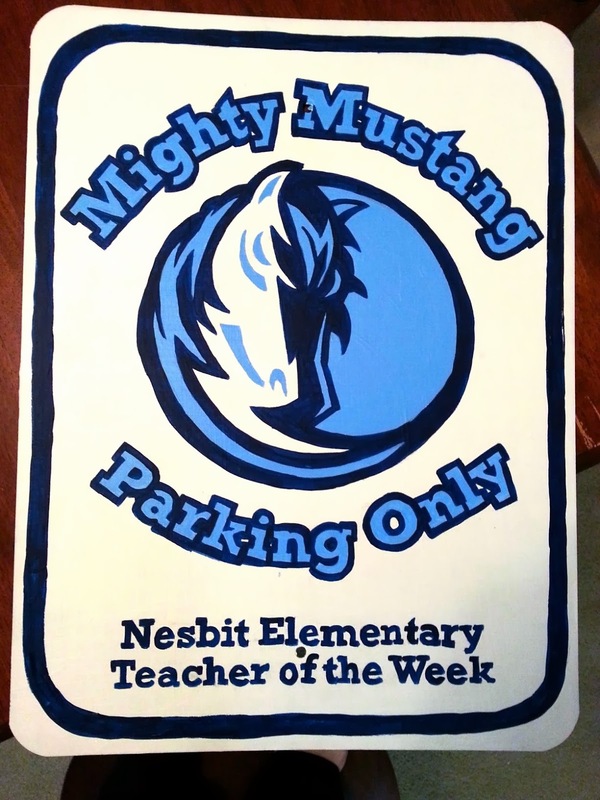 18"x24" metal sign designating our school's "Teacher of the Week" parking spot. 6 hours of meticulous sanding, priming, drawing, and painting.